More important than having a great season as Pompey's keeper, David James is a class human being. His commitments to literacy and the environment are impressive, as are his thoughtful Guardian columns (all fees donated to good causes). I've sent and posted his article, "Will a gay footballer ever come out of the comfort zone?" http://www.guardian.co.uk/football/2007/apr/15/sport.comment2, many times. Ah, to have a sports celebrity as intelligent, articulate, and caring as Jamo in the States! Oh, and as a former keeper, I'm always pleased to see a fellow goalie who doesn't perpetuate the stereotype that we're all insane and angry. Keepers and rock drummers take a bum rap that way. Thanks again for another great post, Jennifer. I believe that in the Guardian article ('The Invincibles'), the author did mention the fact that it's not really good that Arsenal wins everything (or, this season, almost everything). As a fan of Arsenal (both ladies and men), I love that my team is winning everything. But I understand that it isn't necessarily good for women's football (both in England and the world) to have one team dominating. As an American fan, I can't wait for the new women's league over here. It's also really too bad that the Observer dismissed your article idea so quickly. I think it would be a fun an interesting read. yes - arsenal's dominance is a problem - and i have yet to see a good explanation of it. are there UK women players reading this with insight into this? and lena - goalies rule in my book, always. james has been amazing on a range of issues - and somehow he doesn't seem to get hounded for it. i think if i could meet any man playing in the premiership, it'd be james. i like the goalie/drummer link. so true on so many levels. Have you heard about the payment of arsenal ladies if they win? I readf that they would get 30 POUNDS! 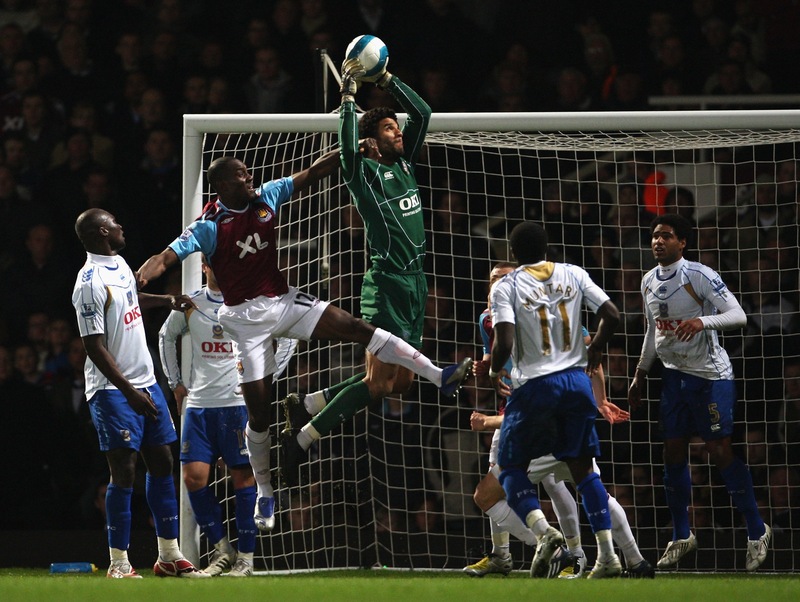 In better news, our dear sweet David James is fit to play in the FA Cup. Good for him, he certainly deserves to be on the pitch for that match. The scariest thing about the reply you got was the clear belief behind it that women's football is getting as much if not more coverage than it deserves/people want. Astonishing when you consider it is the fastest growing sport for women in this country. It's almost (tho not quite) worse than no coverage at all, which would have least be a bit more honest. thanks for your comments. the situation in the UK media is even more grim than in the US - where coverage of the women's game is at least varied (you'll get coverage of women's college teams, the youth game, and the NWT). z - i did pitch the story originally to WSC - i agree it's the best magazine out there. they thought OSM would like it - the pitch wasn't quite right for them. i should probably go back to them, though, with a different idea. or, just go to clacton & have a great time! I'm a fellow footy-player over in London (might've seen you in previous Clacton 7s tournos! ), and just stumbled on your blog - GREAT STUFF. I wholeheartedly agree with everything you (and David James) say! Cannot believe it is still acceptable to state that the women's game 'only warrants monthly coverage'. - we'll be going live soon, and it would be GREAT if you'd like to join and write/share some articles for the News section from time to time..?